Japan’s Tomoyasu Murabayashi (or just “Tomo”) has won today’s LMA Magic Race in New Caledonia, with the wind turning on to produce a cracking downwind run in paradise. Tomo, part of the Starboard International Dream Team, held out the experienced locals for just over two hours to cross the line in a time of 2:01:14, which was a minute quicker than Franck Muller. There was also a great effort from Clement Colmas, who at just 13 years of age (and paddling a 12’6) came home for third place a mere two minutes off the lead. 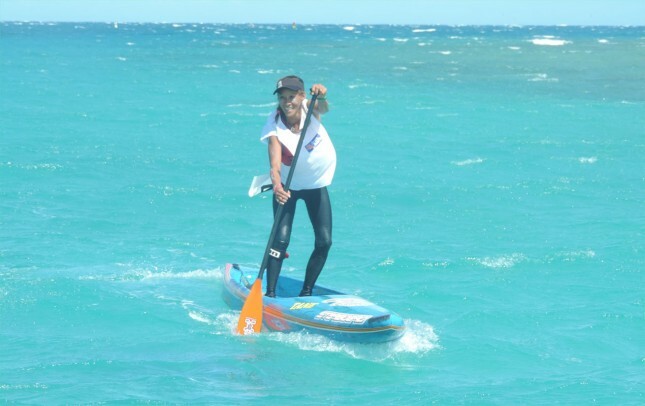 Miranda Barretteau was the fastest woman across the line on a 12’6 in 2:26:42, followed by Marie-Benedicte Roger and Christine Besson on their 14 footers. 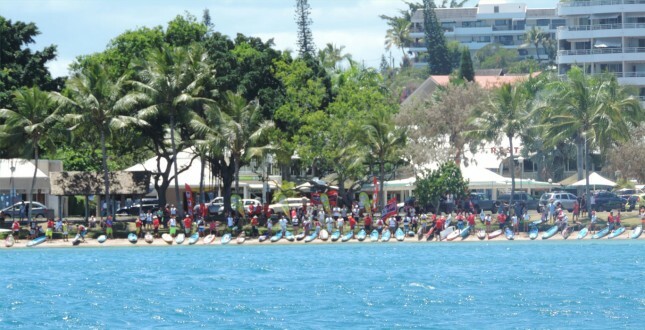 The LMA Magic Race is a 24km downwind run from the capital of Nouméa, heading north through the lagoon and along the beautiful coast of New Caledonia. 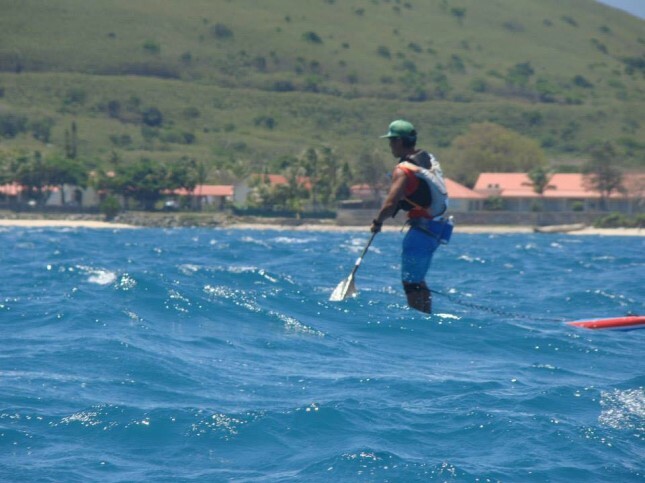 The wind was firing at 25-30 knots, creating some epic conditions as you can see from the photos. I did this downwinder myself when I was in New Caledonia back in March, so I can say from first hand experience it’s an amazing run. 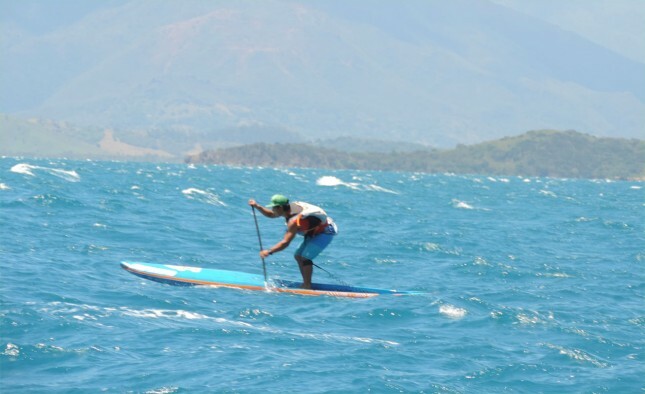 New Caledonia may just be the best kept secret in the world of paddling: Beautiful, warm, blue waters and a trade wind that seemingly blows like clockwork. 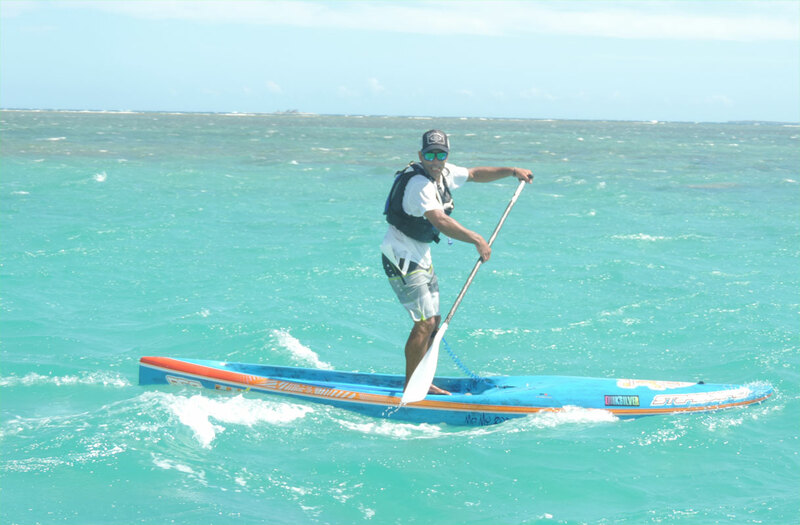 The island is also home to a very strong local paddling group (including a certain Titouan Puyo).